All across Europe there are many big names in the streetwear industry, but in Spain, 24 Kilates are the only name you need to worry about. 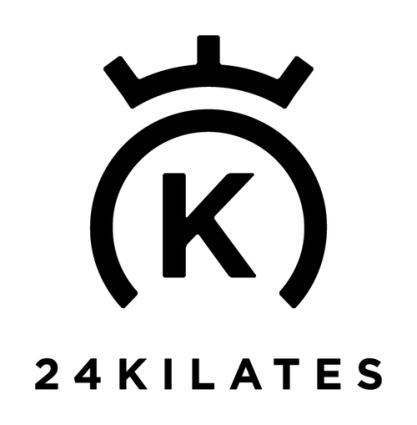 24 Kilates, established in 2005, is based in the Born district of Barcelona and for 10 years now, they have been providing the people of Barcelona with some of the finest names in streetwear. Also, to celebrate their 10 year anniversary, you might have heard, but rather than setting up another store close to him, they set their sights on Asia, and opened a store in Bangkok! 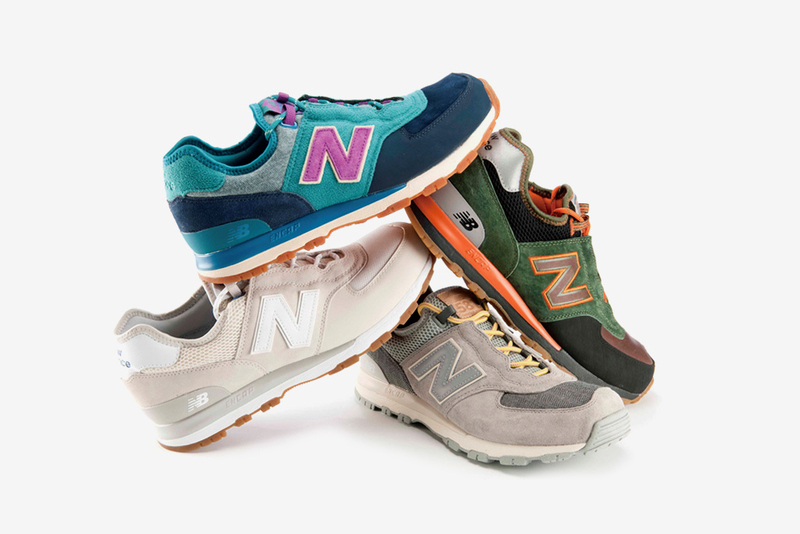 When it comes down to New Balance, and like many brands, once you collaborate with them once, you create a relationship, and from this relationship usually comes many special projects, and that is no different with 24 Kilates. We’re going to start from the beginning back in 2008, three years after they opened their doors to the public. 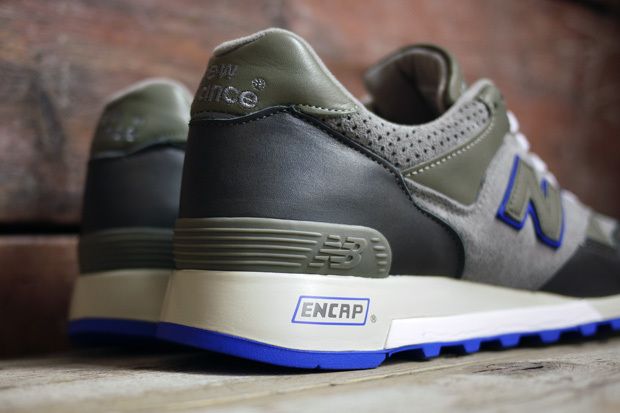 24 Kilates first, and in our opinion, probably their best collaboration is the New Balance 1700BAR x 24 Kilates x New Era “Modernism” Pack, and it may actually be one of the best New Balance shoes out there. 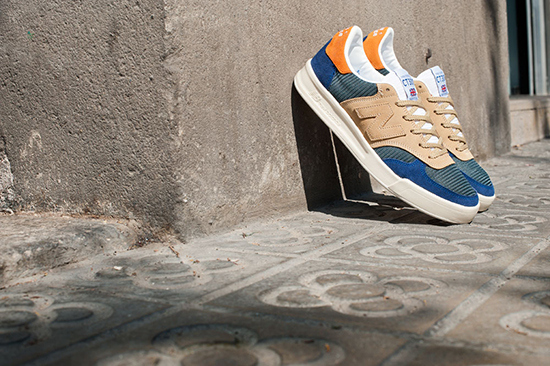 This shoe is a joint collaboration project with New Balance and New Era, and is inspired by none other than Antoni Gaudi and his beautiful architecture which has essentially defined how Barcelona looks. 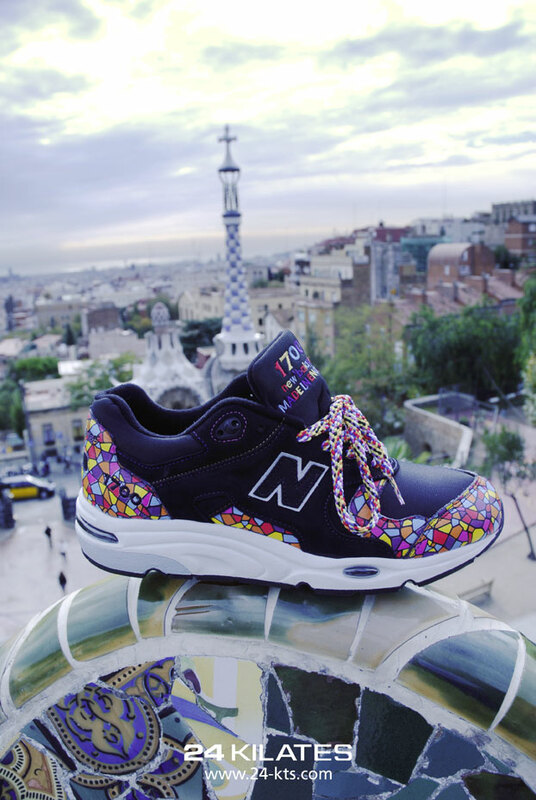 The coloured tiling which this shoe is inspired by is a signature design of Gaudi, and can be seen in many popular tourist destinations around Barcelona. 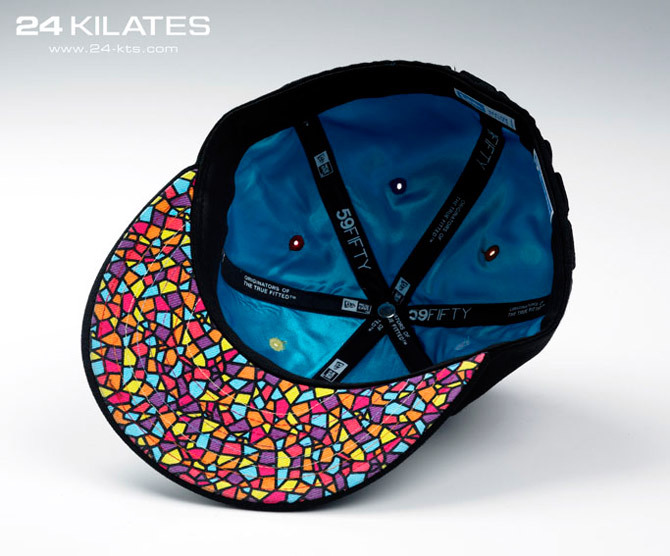 To compliment the shoe, there is a New Era 59Fifty cap, which as the coloured tiling on the underside. 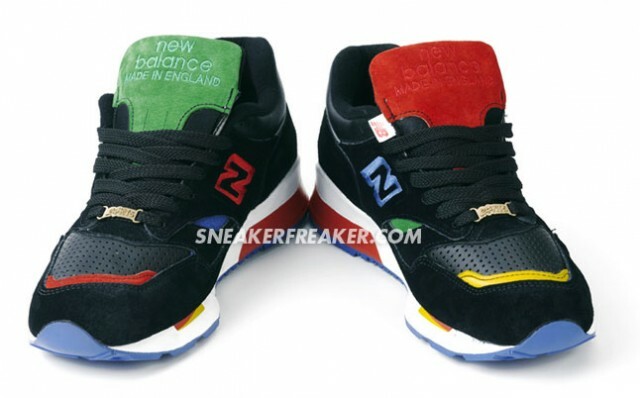 The New Balance 1700BAR was limited to 144 pairs and was released in 2008. 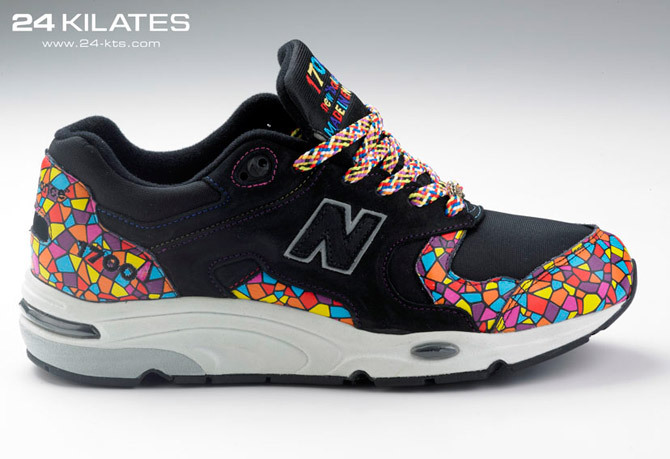 Following their first collaboration which was inspired by Gaudi’s art in Barcelona, 24 Kilates looked to another Catalan for their second New Balance collaboration. This time, the Catalan artist Joan Miró who is famed for his surrealism and his use of basic colours of the whole spectrum. 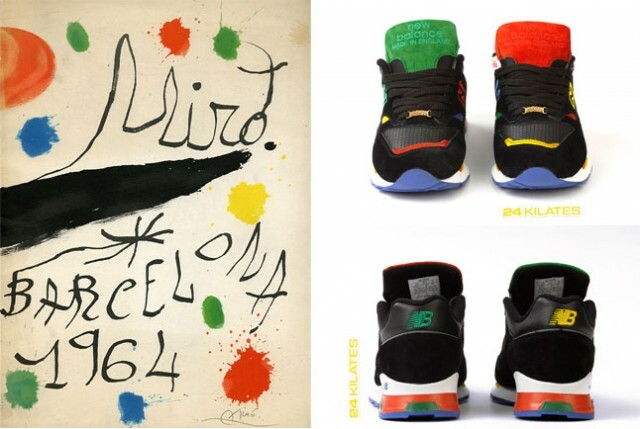 24 Kilates worked with New Balance on the 1500 model, a favourite amongst everyone, and they manipulated the basic colours used by Joan Miró onto a black background. The shoe combines lush perforated leather and suede, and despite the differences between both shoes, it works perfectly. 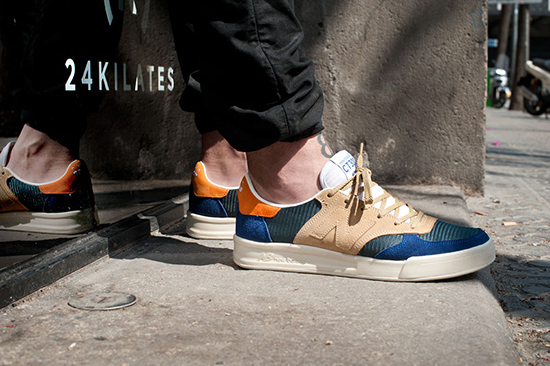 You can read an interview with Pol of 24 Kilates about the shoe here. Now this collaboration is a bit of an unusual one, and it is definitely not very well known, but in 2009, 24 Kilates and mita who are well known for their excellent work on the MT580 silhouette, formed a Spanish-Japanese connection. 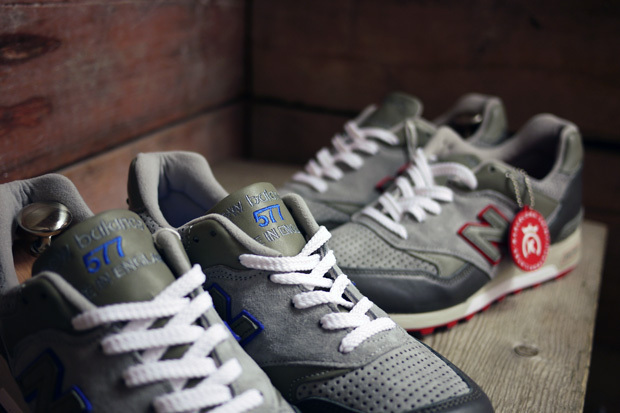 They came together to create the rarely seen New Balance MT576S, a variation of the extremely popular MT580. 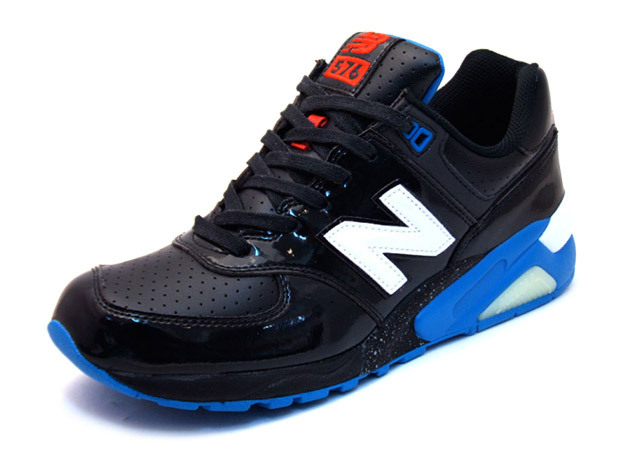 The shoe features a combination of leather and patent leather on a predominantly black coloured upper with hits of red and blue. 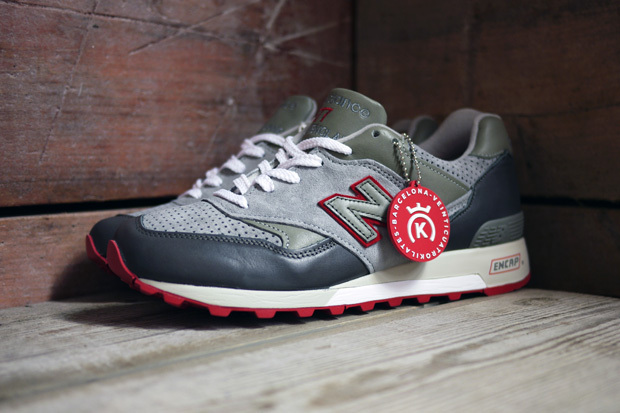 By now, New Balance and 24 Kilates had made this collaborating business a yearly thing, and the next project was a double 577 pack in 2010. 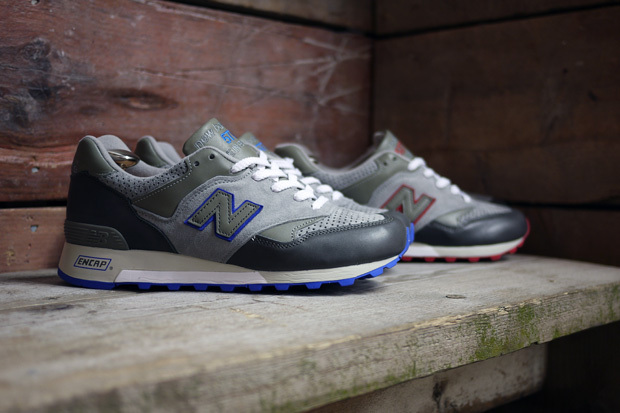 Both pairs come in a prodominantly grey upper utilising leather, suede and perforated suede also, while one pair has blue detailing, and the other pair has red detailing. 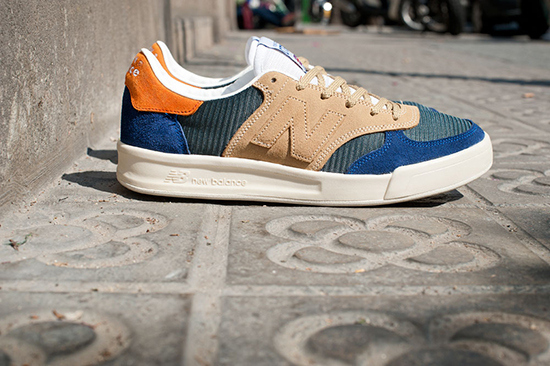 The New Balance ML581 x 24 Kilates was part of a four way collaboration project, which features 24 Kilates of Barcelona, Bodega of Boston, mita sneakers from Tokyo, and Kasina from Seoul, who all worked on a ML581. 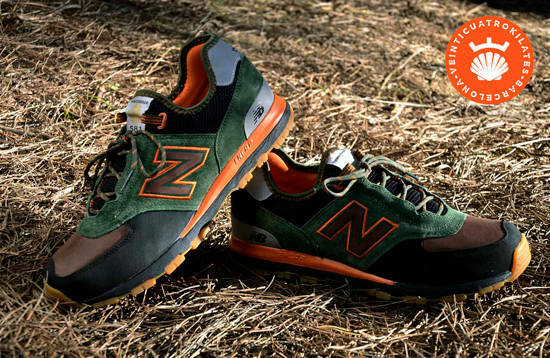 Each pair has it’s own added twist, and as 24 Kilates are so passionate about where they are from, they chose to work with Los Peperetes to create a full package which is inspired by Camino de Santiago. 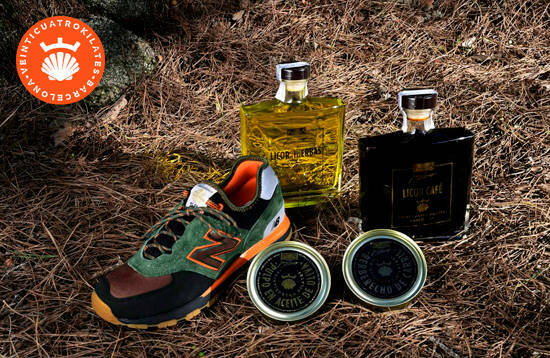 The New Balance ML581 x 24 Kilates pack comes with the shoe, an assortment of liqueurs, canned cockle, and canned octopus from the gourmet company Los Peperetes. Last but not least, and continuing on the theme of four way collaboration projects, 24 Kilates came together with hanon shop, Sneakersnstuff, and Firmament, to re-launch the CT300 in all it’s glory with four great shoes. 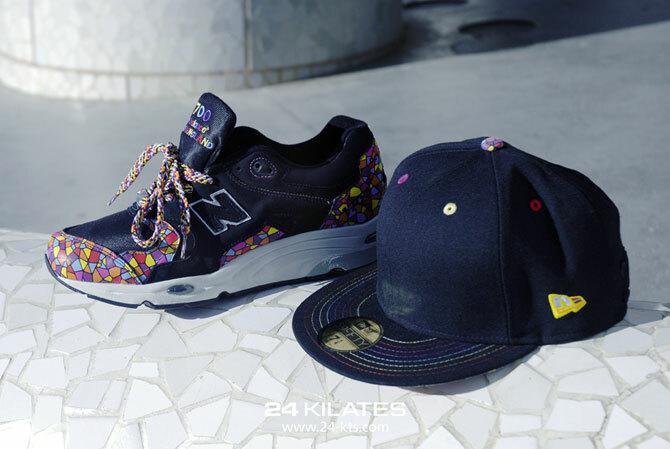 As the 24 Kilates store is based in Barcelona, Spain, it’s inevitable that with a summer release, some of their inspiration was taken from the stunning beach there, with elements such as the sand, the sea and the sun playing a part in the colourway. The name “Vamos A La Playa” is the Spainish translation for “Let’s go to the beach”.